Basu, A., Xu, Y., Still, T., Arratia, P.E., Zhang, Z.X., Nordstrom, K.N., Rieser, J.M., Gollub, J.P., Durian, D.J. and Yodh, A.G. Rheology of soft colloids across the onset of rigidity: scaling behavior, thermal, and non-thermal responses. 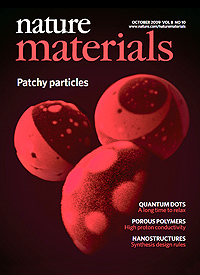 Soft Matter 10, 3027-3035, doi:10.1039/c3sm52454j (2014). Dingal, P.C.D.P. and Discher, D.E. Material control of stem cell differentiation: challenges in nano-characterization. Curr. Opin. Biotech. 28, 46-50, doi:http://dx.doi.org/10.1016/j.copbio.2013.11.003 (2014). Greybush, N.J., Saboktakin, M., Ye, X., Della Giovampaola, C., Oh, S.J., Berry, N.E., Engheta, N., Murray, C.B. and Kagan, C.R. Plasmon-enhanced upconversion luminescence in single nanophosphor-nanorod heterodimers formed through template-assisted self-assembly. ACS Nano 8, 9482-9491, doi:10.1021/nn503675a (2014). Huang, Y.-R., Park, J.T., Prosser, J.H., Kim, J.H. and Lee, D. Multifunctional all-TiO2 Bragg stacks based on blocking layer-assisted spin coating. J. Mater. Chem. C, doi:10.1039/c3tc32031f (2014). Jeong, J., Davidson, Z.S., Collings, P.J., Lubensky, T.C. and Yodh, A.G. Chiral symmetry breaking and surface faceting in chromonic liquid crystal droplets with giant elastic anisotropy. Proc. Natl. Acad. Sci. USA 11, 1724-1747, doi:10.1073/pnas.1315121111 (2014). Jeong, J.W., Han, G.H., Johnson, A.T.C., Collings, P.J., Lubensky, T.C. and Yodh, A.G. Homeotropic alignment of lyotropic chromonic liquid crystals using noncovalent interactions. Langmuir 30, 2914-2920, doi:10.1021/la404893t (2014). Keim, N.C. and Arratia, P.E. Mechanical and microscopic properties of the reversible plastic regime in a 2D jammed material. Phys. Rev. Lett. 112, 028302, doi:10.1103/PhysRevLett.112.028302 (2014). Li, W.B., Fan, H.Y. and Li, J. Deviatoric stress-driven fusion of nanoparticle super lattices. Nano Lett. 14, 4951-4958, doi:10.1021/nl5011977 (2014). Li, W.B., Qian, X.F. and Li, J. Envelope function method for electrons in slowly-varying inhomogeneously deformed crystals. J. Phys.-Condes. Matter 26, 455801, doi:10.1088/0953-8984/26/45/455801 (2014). Lohr, M.A., Cavallaro, M., Beller, D.A., Stebe, K.J., Kamien, R.D., Collings, P.J. and Yodh, A.G. Elasticity-dependent self-assembly of micro-templated chromonic liquid crystal films. 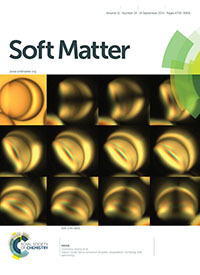 Soft Matter 10, 3477-3484, doi:10.1039/c3sm53170h (2014). Lohr, M.A., Still, T., Ganti, R., Gratale, M.D., Davidson, Z.S., Aptowicz, K.B., Goodrich, C.P., Sussman, D.M. and Yodh, A.G. Vibrational and structural signatures of the crossover between dense glassy and sparse gel-like attractive colloidal packings. Phys. Rev. E 90, 7, doi:10.1103/PhysRevE.90.062305 (2014). Magagnosc, D.J., Kumar, G., Schroers, J., Felfer, P., Cairney, J.M. and Gianola, D.S. Effect of ion irradiation on tensile ductility, strength and fictive temperature in metallic glass nanowires. Acta Mater. 74, 165-182, doi:10.1016/j.actamat.2014.04.002 (2014). Majkut, S., Dingal, P.C.D.P. and Discher, D.E. Stress sensitivity and mechanotransduction during heart development. Curr. Biol. 24, R495-R501, doi:10.1016/j.cub.2014.04.027 (2014). McDaniel, J.R., Weitzhandler, I., Prevost, S., Vargo, K.B., Appavou, M.S., Hammer, D.A., Gradzielski, M. and Chilkoti, A. Noncanonical self-assembly of highly asymmetric genetically encoded polypeptide amphiphiles into cylindrical Micelles. Nano Lett. 14, 6590-6598, doi:10.1021/nl503221p (2014). Oltra, N.S., Nair, P. and Discher, D.E. From stealthy polymersomes and filomicelles to “self” peptide-nanoparticles for cancer therapy. Annu. Rev. Chem. Biomol. 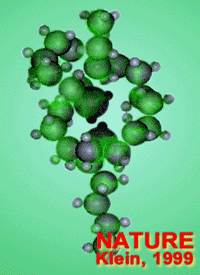 Eng., Vol 5 5, 281-299, doi:10.1146/annurev-chembioeng-060713-040447 (2014). Pavone, V., Zhang, S.Q., Merlino, A., Lombardi, A., Wu, Y.B. and DeGrado, W.F. Crystal structure of an amphiphilic foldamer reveals a 48-mer assembly comprising a hollow truncated octahedron. Nat. Commun. 5, 7, doi:10.1038/ncomms4581 (2014). Qian, X.F., Liu, J.W., Fu, L. and Li, J. Quantum spin Hall effect in two-dimensional transition metal dichalcogenides. Science 346, 1344-1347, doi:10.1126/science.1256815 (2014). Ramakrishnan, N., Kumar, P.B.S. and Radhakrishnan, R. Mesoscale computational studies of membrane bilayer remodeling by curvature-inducing proteins. Phys. Rep.-Rev. Sec. Phys. Lett. 543, 1-60, doi:10.1016/j.physrep.2014.05.001 (2014). Rogers, W.B. and Crocker, J.C. A tunable line optical tweezers instrument with nanometer spatial resolution. Rev. Sci. Instrum. 85, 5, doi:10.1063/1.4870806 (2014). Rottler, J., Schoenholz, S.S. and Liu, A.J. Predicting plasticity with soft vibrational modes: From dislocations to glasses. Phys. Rev. E 89, 6, doi:10.1103/PhysRevE.89.042304 (2014). Schoenholz, S.S., Liu, A.J., Riggleman, R.A. and Rottler, J. Understanding plastic deformation in thermal glasses from single-soft-spot dynamics. Phys. Rev. X 4, 11, doi:10.1103/PhysRcvX.4.031014 (2014). Shavit, A. and Riggleman, R.A. Physical aging, the local dynamics of glass-forming polymers under nanoscale confinement. J. Phys. Chem. B 118, 9096-9103, doi:10.1021/jp502952n (2014). Shavit, A. and Riggleman, R.A. Strain localization in glassy polymers under cylindrical confinement. Phys. Chem. Chem. Phys. 16, 10301-10309, doi:10.1039/c3cp55330b (2014). Steinberg, J.A., Young, S.M., Zaheer, S., Kane, C.L., Mele, E.J. and Rappe, A.M. Bulk Dirac points in distorted spinels. Phys. Rev. Lett. 112, 036403/036401-036405, doi:10.1103/PhysRevLett.112.036403 (2014). Stenull, O. and Lubensky, T.C. Penrose tilings as jammed solids. Phys. Rev. Lett. 113, 5, doi:10.1103/PhysRevLett.113.158301 (2014). Still, T., Goodrich, C.P., Chen, K., Yunker, P.J., Schoenholz, S., Liu, A.J. and Yodh, A.G. Phonon dispersion and elastic moduli of two-dimensional disordered colloidal packings of soft particles with frictional interactions. Phys. Rev. E 89, 012301, doi:10.1103/PhysRevE.89.012301 (2014). Strickland, D.J., Huang, Y.R., Lee, D. and Gianola, D.S. Robust scaling of strength and elastic constants and universal cooperativity in disordered colloidal micropillars. Proc. Natl. Acad. Sci. USA 111, 18167-18172, doi:10.1073/pnas.1413900111 (2014). Strickland, D.J., Zhang, L., Huang, Y.R., Magagnosc, D.J., Lee, D. and Gianola, D.S. Synthesis and mechanical response of disordered colloidal micropillars. Phys. Chem. Chem. Phys. 16, 10274-10285, doi:10.1039/c3cp55422h (2014). Tourdot, R.W., Bradley, R.P., Ramakrishnan, N. and Radhakrishnan, R. Multiscale computational models in physical systems biology of intracellular trafficking. IET Syst. Biol. 8, 198-213, doi:10.1049/iet-syb.2013.0057 (2014). Tourdot, R.W., Ramakrishnan, N. and Radhakrishnan, R. Defining the free-energy landscape of curvature-inducing proteins on membrane bilayers. Phys. Rev. E 90, 13, doi:10.1103/PhysRevE.90.022717 (2014). Tu, F.Q. and Lee, D. Shape-changing and amphiphilicity-reversing Janus particles with pH-responsive surfactant properties. J. Am. Chem. Soc. 136, 9999-10006, doi:10.1021/ja503189r (2014). Wei, Y. and Durian, D.J. Rain water transport and storage in a model sandy soil with hydrogel particle additives. Eur. Phys. J. E 37, 11, doi:10.1140/epje/i2014-14097-x (2014). Wei, Y.L., Cejas, C.M., Barrois, R., Dreyfus, R. and Durian, D.J. Morphology of rain water channeling in systematically varied model sandy soils. Phys. Rev. Appl. 2, 12, doi:10.1103/PhysRevApplied.2.044004 (2014). 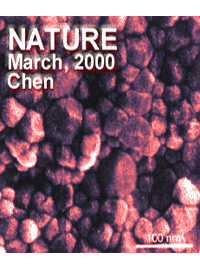 Yunker, P.J., Chen, K., Gratale, M.D., Lohr, M.A., Still, T. and Yodh, A.G. Physics in ordered and disordered colloidal matter composed of poly(N-isopropyl acrylamide) microgel particles. Rep. Prog. Phys. 77, 29, doi:10.1088/0034-4885/77/5/056601 (2014). Zanjani, M.B., Davoyan, A.R., Mahmoud, A.M., Engheta, N. and Lukes, J.R. One-way phonon isolation in acoustic waveguides. Appl. Phys. Lett. 104, 4, doi:10.1063/1.4866590 (2014). Zanjani, M.B., Davoyan, A.R., Mahmoud, A.M., Engheta, N. and Lukes, J.R. One-way phonon transport in modulated acoustic waveguides in Eurotherm 103, European Heat Transfer Conference, Nanoscale and Microscale Heat Transfer IV. extended abstract (2014). Zhang, S., Sun, H.-J., Hughes, A.D., Draghici, B., Lejnieks, J., Leowanawat, P., Bertin, A., Otero De Leon, L., Kulikov, O.V., Chen, Y., Pochan, D.J., Heiney, P.A. and Percec, V. “Single–single” amphiphilic Janus dendrimers self-assemble into uniform dendrimersomes with predictable size. ACS Nano, doi:10.1021/nn405790x (2014). Zhang, S.D., Moussodia, R.O., Sun, H.J., Leowanawat, P., Muncan, A., Nusbaum, C.D., Chelling, K.M., Heiney, P.A., Klein, M.L., Andre, S., Roy, R., Gabius, H.J. and Percec, V. Mimicking biological membranes with programmable glycan ligands self-assembled from amphiphilic Janus glycodendrimers. Angew. Chem.-Int. Edit. 53, 10899-10903, doi:10.1002/anie.201403186 (2014). Zhang, S.D., Sun, H.J., Hughes, A.D., Moussodia, R.O., Bertin, A., Chen, Y.C., Pochan, D.J., Heiney, P.A., Klein, M.L. and Percec, V. Self-assembly of amphiphilic Janus dendrimers into uniform onion-like dendrimersomes with predictable size and number of bilayers. Proc. Natl. Acad. Sci. USA 111, 9058-9063, doi:10.1073/pnas.1402858111 (2014). Zhu, A.Y., Yi, F., Reed, J.C. and Cubukcu, E. Cavity-enhanced mid-infrared absorption in perforated graphene. J. Nanophotonics 8, 9, doi:10.1117/1.jnp.8.083888 (2014). Angilè, F.E., Vargo, K.B., Sehgal, C.M., Hammer, D.A. and Lee, D. Recombinant protein-stabilized monodisperse microbubbles with tunable size using a valve-based microfluidic device. Langmuir 30, 12610-12618, doi:10.1021/la502610c (2014). Azoz, S., Exarhos, A.L., Maarquez, A., Gilbertson, L.M., Nejati, S., Cha, J.J., Zimmerman, J.B., Kikkawa, J.M. and Pfefferle, L.D. Highly conductive single-walled carbon nanotube thin films preparation by direct alignment on substrates from water dispersions. Langmuir, doi:10.1021/la503919u (2014). Brzinski, T.A., Mayor, P. and Durian, D.J. Depth-dependent resistance of granular media to vertical penetration. Phys. Rev. Lett. 111, 168002, doi:10.1103/PhysRevLett.111.168002 (2013); and Brzinski, T.A., Mayor, P. and Durian, D.J. Depth-dependent resistance of granular media to vertical penetration. (Vol. 111, 168002, 2013). Phys. Rev. Lett. 112, 1, doi:10.1103/PhysRevLett.112.079901 (2014). Buxboim, A., Swift, J., Irianto, J., Spinler, K.R., Dingal, P., Athirasala, A., Kao, Y.R.C., Cho, S., Harada, T., Shin, J.W. and Discher, D.E. Matrix elasticity regulates Lamin-A,C phosphorylation and turnover with feedback to actomyosin. Curr. Biol. 24, 1909-1917, doi:10.1016/j.cub.2014.07.001 (2014). Cejas, C.M., Wei, Y.L., Barrois, R., Fretigny, C., Durian, D.J. and Dreyfus, R. Kinetics of gravity-driven water channels under steady rainfall. Phys. Rev. E 90, 14, doi:10.1103/PhysRevE.90.042205 (2014). Chaudhri, A. and Lukes, J.R. Energy conserving dissipative particle dynamics for mesoscopic heat transfer simulations in Annu. Rev. Heat Transfer Vol. 17 (ed G. Chen) Ch. 8, 267-302 (Begell House) (2014). Choi, J., Clarke, N., Winey, K.I. and Composto, R.J. Fast polymer diffusion through nanocomposites with anisotropic particles (Cover article). ACS Macro Lett. 3, 886-891, doi:10.1021/mz500344h (2014). Choi, Y., Brugarolas, T., Kang, S.M., Park, B.J., Kim, B.S., Lee, C.S. and Lee, D. Beauty of Lotus is more than skin deep: highly buoyant superhydrophobic films. ACS Appl. Mater. Interfaces 6, 7009-7013, doi:10.1021/am5015343 (2014). Del Campo, C.M., Mishra, A.K., Wang, Y.H., Roy, C.R., Janmey, P.A. and Lambright, D.G. Structural basis for PI(4)P-specific membrane recruitment of the Legionella pneumophila effector DrrA/SidM. Structure 22, 397-408, doi:10.1016/j.str.2013.12.018 (2014). Dingal, P.C.D.P. and Discher, D.E. Systems mechanobiology: Tension-inhibited protein turnover is sufficient to physically control gene circuits. Biophys. J. 107, 2734-2743, doi:10.1016/j.bpj.2014.10.042 (2014). Dingal, P.C.D.P. and Discher, D.E. Combining insoluble and soluble factors to steer stem cell fate. Nat. Mater. 13, 532-537, doi:10.1038/nmat3997 (2014). Dingal, P.C.D.P., Wells, R.G. and Discher, D.E. Simple insoluble cues specify stem cell differentiation. Proc. Natl. Acad. Sci. USA 111, 18104-18105, doi:10.1073/pnas.1421562112 (2014). Egberts, P., Han, G.H., Liu, X.Z., Johnson, A.T.C. and Carpick, R.W. Frictional behavior of atomically thin sheets: Hexagonal-shaped graphene islands grown on copper by chemical vapor deposition. ACS Nano 8, 5010-5021, doi:10.1021/nn501085g (2014). Fu, X.W., Su, C., Fu, Q., Zhu, X.L., Zhu, R., Liu, C.P., Liao, Z.M., Xu, J., Guo, W.L., Feng, J., Li, J. and Yu, D.P. Tailoring exciton dynamics by elastic strain- gradient in semiconductors. Adv. Mater. 26, 2572-2579, doi:10.1002/adma.201305058 (2014). Glor, E.C. and Fakhraai, Z. Facilitation of interfacial dynamics in entangled polymer films. J. Chem. Phys. 141, 194505, doi:10.1063/1.4901512 (2014). Gonzalez, G., Hannigan, B. and DeGrado, W.F. 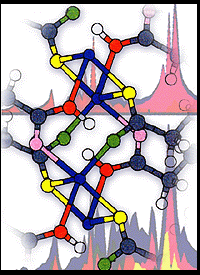 A real-time all-atom structural search engine for proteins. PLoS Comput. Biol. 10, 8, doi:10.1371/journal.pcbi.1003750 (2014). Gosvami, N.N., Nalam, P.C., Exarhos, A.L., Tam, Q., Kikkawa, J.M. and Carpick, R.W. Direct torsional actuation of microcantilevers using magnetic excitation. Appl. Phys. Lett. 105, 093101, doi:10.1063/1.4894737 (2014). Gramlich, W.M., Holloway, J.L., Rai, R. and Burdick, J.A. Transdermal gelation of methacrylated macromers with near-infrared light and gold nanorods Nanotechnology 25, 014004, doi:10.1088/0957-4484/25/1/014004 (2014). Hastings, S.P., Swanglap, P., Qian, Z., Fang, Y., Park, S.-J., Link, S., Engheta, N. and Fakhraai, Z. Quadrupole-enhanced Raman scattering. ACS Nano 8, 9025-9034, doi:10.1021/nn5022346 (2014). Highley, C.B., Rodell, C.B., Kim, I.L., Wade, R.J. and Burdick, J.A. Ordered, adherent layers of nanofibers enabled by supramolecular interactions. J. Mat. Chem. B 2, 8110-8115, doi:10.1039/c4tb00724g (2014). Hore, M.J.A. and Composto, R.J. Functional polymer nanocomposites enhanced by nanorods. Macromolecules 47, 875-887, doi:10.1021/ma402179w (2014). Janmey, P.A., Slochower, D.R., Wang, Y.H., Wen, Q. and Cebers, A. Polyelectrolyte properties of filamentous biopolymers and their consequences in biological fluids. 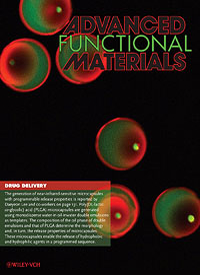 Soft Matter 10, 1439-1449, doi:10.1039/c3sm50854d (2014); and Janmey, P.A., Slochower, D.R., Wang, Y.H., Wen, Q. and Cebers, A. Polyelectrolyte properties of filamentous biopolymers and their consequences in biological fluids (vol 10, pg 1439, 2014). 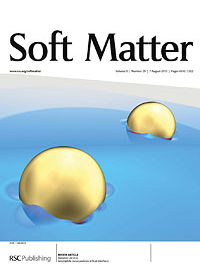 Soft Matter 10, 6358-6358 (2014). 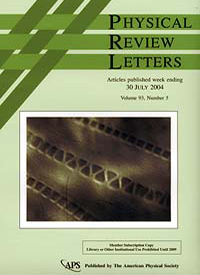 Jezorek, R.L., Zhang, N., Leowanawat, P., Bunner, M.H., Gutsche, N., Pesti, A.K., Olsen, J.T. and Percec, V. Air-stable nickel precatalysts for fast and quantitative cross-coupling of aryl sulfamates with aryl neopentylglycolboronates at room temperature. Org. Lett. 16, 6326-6329, doi:10.1021/ol503061c (2014). Joh, N.H., Wang, T., Bhate, M.P., Acharya, R., Wu, Y.B., Grabe, M., Hong, M., Grigoryan, G. and DeGrado, W.F. De novo design of a transmembrane Zn2+-transporting four-helix bundle. 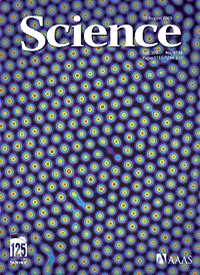 Science 346, 1520-1524, doi:10.1126/science.1261172 (2014). Kang, S.M., Kumar, A., Choi, C.H., Tettey, K.E., Lee, C.S., Lee, D. and Park, B.J. Triblock cylinders at fluid-fluid interfaces. Langmuir 30, 13199-13204, doi:10.1021/la503733m (2014). Katsuragi, H. and Durian, D.J. Drag force scaling for penetration into granular media. Phys. Rev. E 87, 5, doi:10.1103/PhysRevE.87.052208 (2013); and Katsuragi, H. and Durian, D.J. Drag force scaling for penetration into granular media (vol 87, 052208, 2013). Phys. Rev. E 89, 1, doi:10.1103/PhysRevE.89.019902 (2014). Kunze, T., Posselt, M., Gemming, S., Seifert, G., Konicek, A., Carpick, R., Pastewka, L. and Moseler, M. Wear, plasticity, and rehybridization in tetrahedral amorphous carbon. Tribol. Lett. 53, 119-126, doi:10.1007/s11249-013-0250-7 (2014). Lerner, M.B., Matsunaga, F., Han, G.H., Hong, S.J., Xi, J., Crook, A., Perez-Aguilar, J.M., Park, Y.W., Saven, J.G., Liu, R.Y. and Johnson, A.T.C. Scalable production of highly sensitive nanosensors based on graphene functionalized with a designed g protein-coupled receptor. Nano Lett. 14, 2709-2714, doi:10.1021/nl5006349 (2014). Li, H.Y., Wang, J.S., Liu, M., Wang, H., Su, P.L., Wu, J.S. and Li, J. A nanoporous oxide interlayer makes a better Pt catalyst on a metallic substrate: Nanoflowers on a nanotube bed. Nano Res. 7, 1007-1017, doi:10.1007/s12274-014-0464-5 (2014). Li, J., Shan, Z.W. and Ma, E. Elastic strain engineering for unprecedented materials properties. MRS Bull. 39, 108-117, doi:10.1557/mrs.2014.3 (2014). Lin, C.C., Ohno, K., Clarke, N., Winey, K.I. and Composto, R.J. Macromolecular diffusion through a polymer matrix with polymer-grafted chained nanoparticles. Macromolecules 47, 5357-5364, doi:10.1021/ma501113c (2014). Liu, B.Y., Wang, J., Li, B., Lu, L., Zhang, X.Y., Shan, Z.W., Li, J., Jia, C.L., Sun, J. and Ma, E. Twinning-like lattice reorientation without a crystallographic twinning plane. Nat. Commun. 5, 6, doi:10.1038/ncomms4297 (2014). Liu, J., Ayyaswamy, P.S., Eckmann, D.M. and Radhakrishnan, R. Modelling of binding free energy of targeted nanocarriers to cell surface. Heat Mass Transfer 50, 315-321, doi:10.1007/s00231-013-1274-0 (2014). Liu, L.F., Ding, X.D., Li, J., Lookman, T. and Sun, J. Direct observation of hierarchical nucleation of martensite and size-dependent superelasticity in shape memory alloys. Nanoscale 6, 2067-2072, doi:10.1039/c3nr05258c (2014). Liu, X.Z., Li, Q.Y., Egberts, P. and Carpick, R.W. Nanoscale adhesive properties of graphene: The rffect of sliding history. Adv. Mater. Interfaces 1, 9, doi:10.1002/admi.201300053 (2014). Lynch, J., Kotiuga, M., Doan-Nguyen, V.V.T., Queen, W.L., Forster, J.D., Schlitz, R.A., Murray, C.B., Neaton, J.B., Chabinyc, M.L. and Urban, J.J. Ligand coupling symmetry correlates with thermopower enhancement in small-molecule/nanocrystal hybrid materials. ACS Nano 8, 10528-10536, doi:10.1021/nn503972v (2014). Molnar, K.S., Bonomi, M., Pellarin, R., Clinthorne, G.D., Gonzalez, G., Goldberg, S.D., Goulian, M., Sali, A. and DeGrado, W.F. Cys-scanning disulfide cross linking and Bayesian modeling probe the transmembrane signaling mechanism of the histidine kinase, PhoQ. Structure 22, 1239-1251, doi:10.1016/j.str.2014.04.019 (2014). Montalvo, G.L., Zhang, Y., Young, T.M., Costanzo, M.J., Freeman, K.B., Wang, J., Clements, D.J., Magavern, E., Kavash, R.W., Scott, R.W., Liu, D.H. and DeGrado, W.F. De Novo design of self-assembling foldamers that inhibit heparin-protein interactions. ACS Chem. Biol. 9, 967-975, doi:10.1021/cb500026x (2014). Murphy, K.F., Piccione, B., Zanjani, M.B., Lukes, J.R. and Gianola, D.S. Strain- and defect-mediated thermal conductivity in silicon nanowires. Nano Lett. 14, 3785-3792, doi:10.1021/nl500840d (2014). Niu, J.J., Kushima, A., Qian, X.F., Qi, L., Xiang, K., Chiang, Y.M. and Li, J. In Situ observation of random solid solution zone in LiFePO4 electrode. Nano Lett. 14, 4005-4010, doi:10.1021/nl501415b (2014). Norton, M.M., Brugarolas, T., Chou, J., Lee, D. and Bau, H.H. Ellipsoidal particles encapsulated in droplets. 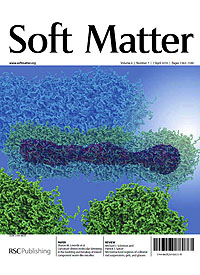 Soft Matter 10, 4840-4847, doi:10.1039/c4sm00302k (2014). Oh, S.J., Wang, Z.Q., Berry, N.E., Choi, J.H., Zhao, T.S., Gaulding, E.A., Paik, T., Lai, Y.M., Murray, C.B. and Kagan, C.R. Engineering charge injection and charge transport for high performance PbSe nanocrystal thin film devices and circuits. Nano Lett. 14, 6210-6216, doi:10.1021/1502491d (2014). Park, J.T., Kim, J.H. and Lee, D. Excellent anti-fogging dye-sensitized solar cells based on superhydrophilic nanoparticle coatings. Nanoscale 6, 7362-7368, doi:10.1039/c4nr00919c (2014). Peng, Y., Wang, F., Wang, Z., Alsayed, A.M., Zhang, Z., Yodh, A.G. and Han, Y. Two-step nucleation mechanism in solid–solid phase transitions. Nat. Mater. 14, 101-108, doi:10.1038/nmat4083 (2014). Pogoda, K., Chin, L.K., Georges, P.C., Byfield, F.J., Bucki, R., Kim, R., Weaver, M., Wells, R.G., Marcinkiewicz, C. and Janmey, P.A. Compression stiffening of brain and its effect on mechanosensing by glioma cells. New J. Phys. 16, 075002, doi:10.1088/1367-2630/16/7/075002 (2014). Roche, C., Sun, H.J., Prendergast, M.E., Leowanawat, P., Partridge, B.E., Heiney, P.A., Araoka, F., Graf, R., Spiess, H.W., Zeng, X.B.O., Ungar, G. and Percec, V. Homochiral columns constructed by chiral self-sorting during supramolecular helical organization of hat-shaped molecules. J. Am. Chem. Soc. 136, 7169-7185, doi:10.1021/ja5035107 (2014). Rose, F., Wang, N., Smith, R., Xiao, Q.F., Inaba, H., Matsumura, T., Saito, Y., Matsumoto, H., Dai, Q., Marchon, B., Mangolini, F. and Carpick, R.W. Complete characterization by Raman spectroscopy of the structural properties of thin hydrogenated diamond-like carbon films exposed to rapid thermal annealing. J. Appl. Phys. 116, 123516/123511-123511, doi:10.1063/1.4896838 (2014). Rufo, C.M., Moroz, Y.S., Moroz, O.V., Stohr, J., Smith, T.A., Hu, X.Z., DeGrado, W.F. and Korendovych, I.V. Short peptides self-assemble to produce catalytic amyloids. Nature Chemistry 6, 303-309, doi:10.1038/nchem.1894 (2014). Samanta, S.R., Cai, R.L. and Percec, V. SET-LRP of semifluorinated acrylates and methacrylates. Polym. Chem. 5, 5479-5491, doi:10.1039/c4py00635f (2014). Samanta, S.R. and Percec, V. Synthesis of high molar mass poly(n-butyl acrylate) and poly(2-ethylhexyl acrylate) by SET-LRP in mixtures of fluorinated alcohols with DMSO. Polym. Chem. 5, 169-174, doi:10.1039/c3py01008b (2014). Sathaye, S., Zhang, H.X., Sonmez, C., Schneider, J.P., MacDermaid, C.M., Von Bargen, C.D., Saven, J.G. and Pochan, D.J. Engineering complementary hydrophobic interactions to control b-Hairpin peptide self-assembly, network branching, and hydrogel properties. Biomacromolecules 15, 3891-3900, doi:10.1021/bm500874t (2014). Seither, K.M., McMahon, H.A., Singh, N., Wang, H.J., Cushman-Nick, M., Montalvo, G.L., DeGrado, W.F. and Shorter, J. Specific aromatic foldamers potently inhibit spontaneous and seeded Abeta42 and Abeta43 fibril assembly. Biochem. J. 464, 85-98, doi:10.1042/bj20131609 (2014). Shen, C., Li, J. and Wang, Y.Z. Predicting structure and energy of dislocations and grain boundaries. Acta Mater. 74, 125-131, doi:10.1016/j.actamat.2014.03.065 (2014). Shi, Z. and Baumgart, T. Dynamics and instabilities of lipid bilayer membrane shapes. Adv. Colloid Interface Sci. 208, 76-88, doi:10.1016/j.cis.2014.01.004 (2014). Shin, J.W., Buxboim, A., Spinler, K.R., Swift, J., Christian, D.A., Hunter, C.A., Leon, C., Gachet, C., Dingal, P.C.D.P., Ivanovska, I.L., Rehfeldt, F., Chasis, J.A. and Discher, D.E. Contractile forces sustain and polarize hematopoiesis from stem and progenitor cells. Cell Stem Cell 14, 81-93, doi:10.1016/j.stem.2013.10.009 (2014). Slochower, D.R., Wang, Y.H., Tourdot, R.W., Radhakrishnan, R. and Janmey, P.A. 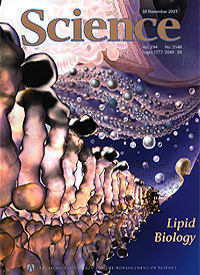 Counterion-mediated pattern formation in membranes containing anionic lipids. Adv. Colloid Interface Sci. 208, 177-188, doi:10.1016/j.cis.2014.01.016 (2014). Sun, J., He, L.B., Lo, Y.C., Xu, T., Bi, H.C., Sun, L.T., Zhang, Z., Mao, S.X. and Li, J. Liquid-like pseudoelasticity of sub-10-nm crystalline silver particles. Nat. Mater. 13, 1007-1012, doi:10.1038/nmat4105 (2014). Swift, J. and Discher, D.E. The nuclear lamina is mechano-responsive to ECM elasticity in mature tissue. J. Cell Sci. 127, 3005-3015, doi:10.1242/jcs.149203 (2014). Tronin, A.Y., Nordren, C.E., Strzalka, J.W., Kuzmenko, I., Worcester, D.L., Lauter, V., Freites, J.A., Tobias, D.J. and Blasie, J.K. Direct evidence of conformational changes associated with voltage gating in a voltage sensor protein by time-resolved x-ray/neutron interferometry. Langmuir 30, 4784-4796, doi:10.1021/la500560w (2014). Turk, M.E., Choi, J.-H., Oh, S.J., Fafarman, A.T., Diroll, B.T., Murray, C.B., Kagan, C.R. and Kikkawa, J.M. Gate-induced carrier delocalization in quantum dot field effect transistors. Nano Letters, doi:10.1021/nl5029655 (2014). Vargo, K.B., Sood, N., Moeller, T.D., Heiney, P.A. and Hammer, D.A. Spherical Micelles assembled from variants of recombinant oleosin. Langmuir 30, 11292-11300, doi:10.1021/la502664e (2014). Vargo, K.B., Zaki, A.A., Warden-Rothman, R., Tsourkas, A. and Hammer, D.A. Superparamagnetic iron oxide nanoparticle Micelles stabilized by recombinant Oleosin for targeted magnetic resonance imaging. Small, 11, 1409-1413, doi:10.1002/smll.201402017 (2014). Wang, D.L., Hore, M.J.A., Ye, X.C., Zheng, C., Murray, C.B. and Composto, R.J. Gold nanorod length controls dispersion, local ordering, and optical absorption in polymer nanocomposite films. Soft Matter 10, 3404-3413, doi:10.1039/c3sm52514g (2014). Wang, D.Y., Kang, Y.J., Ye, X.C. and Murray, C.B. Mineralizer-assisted shape-control of rare earth oxide nanoplates. Chem. Mater. 26, 6328-6332, doi:10.1021/cm502301u (2014). Wang, Z.J., Shan, Z.W., Li, J., Sun, J. and Ma, E. An index for deformation controllability of small-volume materials. Sci. China-Technol. Sci. 57, 663-670, doi:10.1007/s11431-014-5498-0 (2014). Wilson, T.J., Pfeifer, C.R., Meysingier, N. and Durian, D.J. Granular discharge rate for submerged hoppers. Pap. Phys. 6, 0-0, doi:10.4279/pip.060009 _ issn 1852-4249 (2014). Wu, G.X., Xia, Y. and Yang, S. Buckling, symmetry breaking, and cavitation in periodically micro-structured hydrogel membranes. 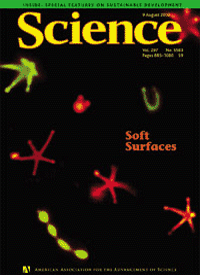 Soft Matter 10, 1392-1399, doi:10.1039/c3sm51640g (2014). Wu, M.H., Qian, X.F. and Li, J. Tunable exciton funnel using Moire super lattice in twisted van der Waals bilayer. Nano Lett. 14, 5350-5357, doi:10.1021/nl502414t (2014). Wu, Y.-C., Leowanawat, P., Sun, H.-J., Partridge, B.E., Peterca, M., Graf, R., Spiess, H.W., Zeng, X., Ungar, G., Hsu, C.-S., Heiney, P.A. and Percec, V. Complex columnar hexagonal polymorphism in supramolecular assemblies of a semifluorinated electron-accepting naphthalene bisimide. J. Am. Chem. Soc. ASAP, doi:10.1021/ja510643b (2014). Yang, X., Tudosa, J., Choi, B.J., Chen, A.B.K. and Chen, I.W. Resolving voltage-time dilemma using an atomic-scale lever of subpicosecond electron-phonon interaction. Nano Lett. 14, 5058-5067, doi:10.1021/nl501710r (2014). Zhang, N., Samanta, S.R., Rosen, B.M. and Percec, V. Single electron transfer in radical ion and radical-mediated organic, materials and polymer synthesis. Chem. Rev. 114, 5848-5958, doi:10.1021/cr400689s (2014). Zhao, P.Y., Li, J. and Wang, Y.Z. Extended defects, ideal strength and actual strengths of finite-sized metallic glasses. Acta Mater. 73, 149-166, doi:10.1016/j.actamat.2014.03.068 (2014). Zhao, X.L., Perez-Aguilar, J.M., Matsunaga, F., Lerner, M., Xi, J., Selling, B., Johnson, A.T.C., Saven, J.G. and Liu, R.Y. Characterization of a computationally designed water-soluble human m-opioid receptor variant using available structural information. Anesthesiology 121, 866-875 (2014). Balan, A., Machielse, B., Niedzwiecki, D., Lin, J.X., Ong, P.J., Engelke, R., Shepard, K.L. and Drndic, M. Improving signal-to-noise performance for DNA Trans location in solid-state nanopores at MHz bandwidths. Nano Letters 14, 7215-7220, doi:10.1021/nl504345y (2014). Chan, E.P., Mulhearn, W.D., Huang, Y.R., Lee, J.H., Lee, D. and Stafford, C.M. Tailoring the permselectivity of water desalination membranes via nanoparticle assembly. Langmuir 30, 611-616, doi:10.1021/la403718x (2014). Chen, C.M. and Yang, S. Directed water shedding on high-aspect-ratio shape memory polymer micropillar arrays. Adv. Mater. 26, 1283-1288, doi:10.1002/adma.201304030 (2014). Choi, U.H., Liang, S.W., O’Reilly, M.V., Winey, K.I., Runt, J. and Colby, R.H. Influence of solvating plasticizer on ion conduction of polysiloxane single-ion conductors. Macromolecules 47, 3145-3153, doi:10.1021/ma500146v (2014). Choi, U.H., Ye, Y.S., de la Cruz, D.S., Liu, W.J., Winey, K.I., Elabd, Y.A., Runt, J. and Colby, R.H. Dielectric and viscoelastic responses of imidazolium-based ionomers with different counterions and side chain lengths. Macromolecules 47, 777-790, doi:10.1021/ma402263y (2014). Edwards, C., Zhou, R.J., Hwang, S.W., McKeown, S.J., Wang, K.Y., Bhaduri, B., Ganti, R., Yunker, P.J., Yodh, A.G., Rogers, J.A., Goddard, L.L. and Popescu, G. Diffraction phase microscopy: monitoring nanoscale dynamics in materials science Invited. Appl. Optics 53, G33-G43, doi:10.1364/ao.53.000g33 (2014). Fafarman, A.T., Hong, S.H., Oh, S.J., Caglayan, H., Ye, X.C., Diroll, B.T., Engheta, N., Murray, C.B. and Kagan, C.R. Air-stable, nanostructured electronic and plasmonic materials from solution-processable, silver nanocrystal building blocks. ACS Nano 8, 2746-2754, doi:10.1021/nn406461p (2014). Ferrer, M.C.C., Dastghey, S., Hickok, N.J., Eckrnann, D.M. and Composto, R.J. Designing nanogel carriers for antibacterial applications. Acta Biomaterialia 10, 2105-2111, doi:10.1016/j.actbio.2014.01.009 (2014). Ferrer, M.C.C., Shuvaev, V.V., Zern, B.J., Composto, R.J., Muzykantov, V.R. and Eckmann, D.M. ICAM-1 targeted nanogels loaded with dexamethasone alleviate pulmonary inflammation. Plos One 9, 7, doi:10.1371/journal.pone.0102329 (2014). Griepenburg, J.C., Sood, N., Vargo, K.B., Williams, D., Rawson, J., Therien, M.J., Hammer, D.A. and Dmochowski, I.J. Caging metal ions with visible light-responsive nanopolymersomes. 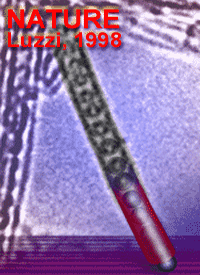 Langmuir 31, 799–807, doi:10.1021/la5036689 (2014). Jangu, C., Wang, J.H.H., Wang, D., Sharick, S., Heflin, J.R., Winey, K.I., Colby, R.H. and Long, T.E. Well-defined imidazolium ABA triblock copolymers as ionic-liquid-containing electroactive membranes. Macromol. Chem. Phys. 215, 1319-1331, doi:10.1002/macp.201400121 (2014). Li, J., Cho, Y., Choi, I.S. and Yang, S. Transforming one-dimensional nanowalls to long-range ordered two-dimensional nanowaves: Exploiting buckling instability and nanofibers effect in holographic lithography. Adv. Funct. Mater. 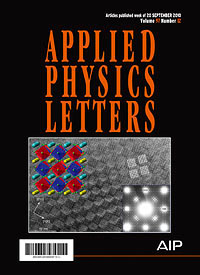 24, 2361-2366, doi:10.1002/adfm.201302826 (2014). Li, J. and Yang, S. Fabrication of high-aspect-ratio (up to 10) one-dimensional organic/inorganic hybrid nanogratings via holographic lithography. Microelectron. Eng. 128, 7-11, doi:10.1016/j.mee.2014.06.004 (2014). Liang, S.W., O’Reilly, M.V., Choi, U.H., Shiau, H.S., Bartels, J., Chen, Q., Runt, J., Winey, K.I. and Colby, R.H. High ion content siloxane phosphonium ionomers with very low T-g. Macromolecules 47, 4428-4437, doi:10.1021/ma5001546 (2014). Liu, Y.T. and Radhakrishnan, R. Computational delineation of tyrosyl-substrate recognition and catalytic landscapes by the epidermal growth factor receptor tyrosine kinase domain. Mol. Biosyst. 10, 1890-1904, doi:10.1039/c3mb70620f (2014). Sussman, D.M., Tung, W.S., Winey, K.I., Schweizer, K.S. and Riggleman, R.A. Entanglement reduction and anisotropic chain and primitive path conformations in polymer melts under thin film and cylindrical confinement. Macromolecules 47, 6462-6472, doi:10.1021/ma501193f (2014).